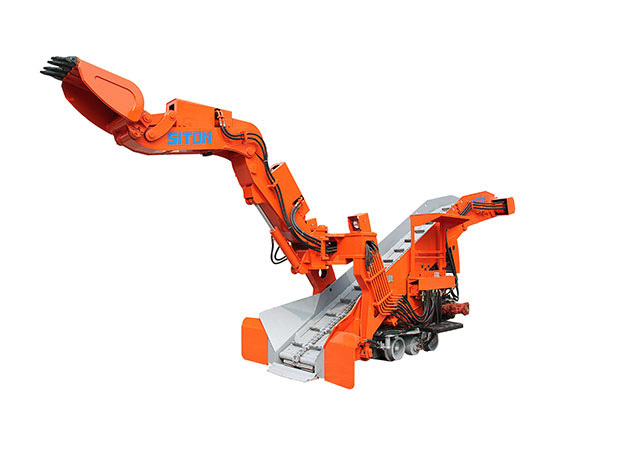 The Track Mucking Loader is also known as tracked haggloader or mining track loader, and it is mainly used in mine, railway tunnel, national defense engineering, hydraulic engineering, etc. By adopting advanced technology at home and abroad, we develop this new, high efficient and energy-saving engineering machinery. 1. The Track Mucking Loader, or tracked haggloader, can work continuously to excavate, take the rock residue, and transport materials to the Shuttle Mining Car and other transshipment equipment. 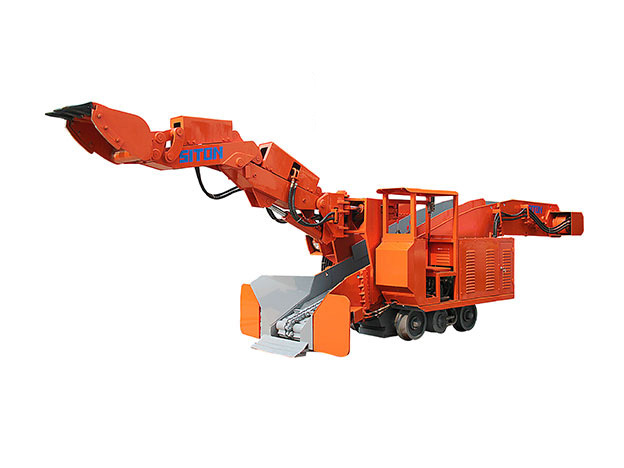 The conveyor can discharge the rock into the auto dumper, Shuttle Mining Car, side-dumping car, belt conveyor, skip, etc. 2. We can install hydraulic hammer to break, repair and blast the huge rock and coal sheet on the roadway baseplate or the bottom of the side-panel. 3. The working surface of this Track Mucking Loader, or mining track loader, can be cleaned automatically by itself. 4. With a human-centered design, this tracked haggloader adopts the air cooling equipment in the hydraulic system which helps us save a lot of manpower and money.